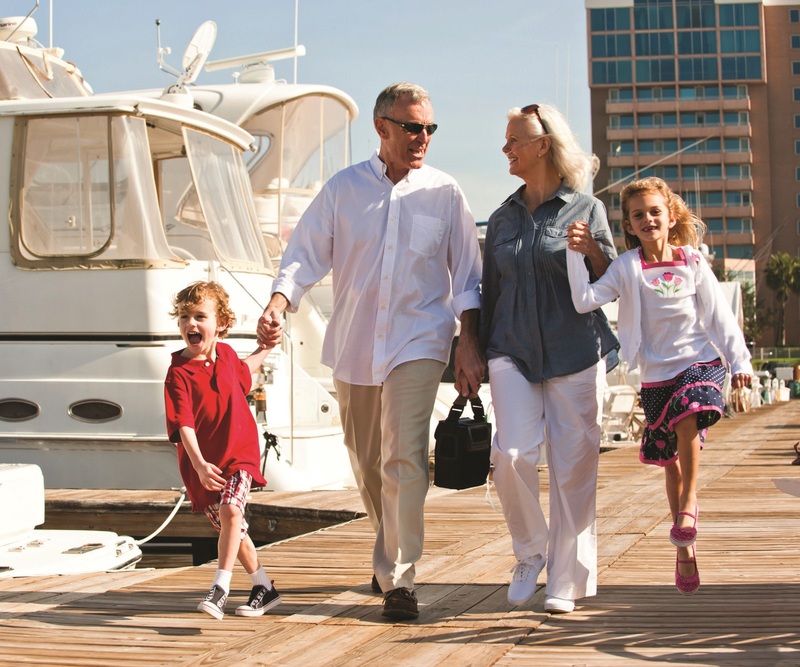 Take back your freedom and independence that other standard oxygen delivery methods restrict. 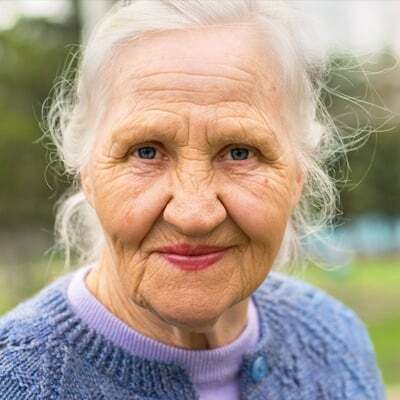 Living with COPD is already hard enough, so why restrict what you can do with supplemental oxygen? 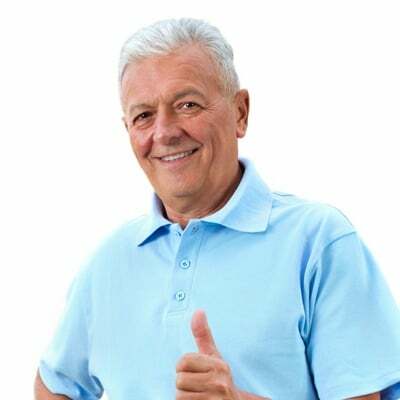 The LifeChoice Activox Pro was designed for oxygen patients that are sick of being restricted from living life, such as those that heavy and cumbersome oxygen tanks have. It offers pulse flow settings 1-3 and gets impressive battery life. 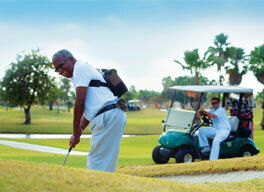 Golf, shop, travel and even sleep with the FAA approved, 4.3lbs LifeChoice Activox Pro. Never be restricted by your oxygen again and get back to doing the things you love! 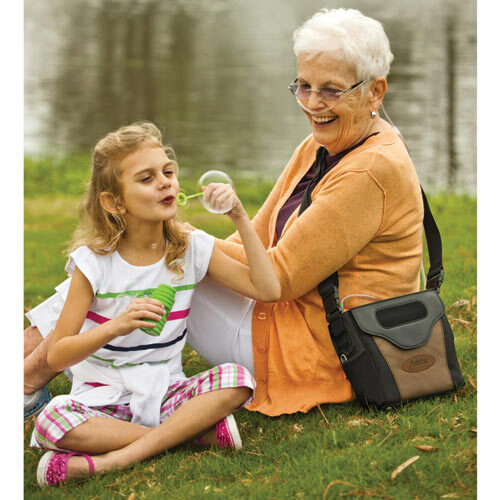 The thing that makes the LifeChoice Activox Pro stand out from the competition, is its smallness is matched with a long standing internal battery life that is unprecedented by other portable concentrators! The internal battery equipped with the Activox Pro will deliver uninterrupted oxygen therapy for up to 7.25 hours! Not to mention, the optional external battery can supply you with up to 3 additional hours of battery life. One of the best features, if not the best feature of the Activox Pro is the 4-way custom carrying case. 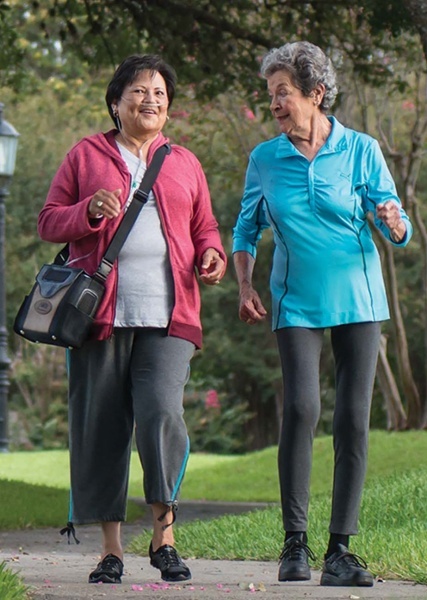 Instead of being stuck with the two standard carrying options for POCs, the Activox Pro has a 4-way strap system that allows you to carry your concentrator over your shoulder, in your hand, like a backpack, or you can wear it around your waist. 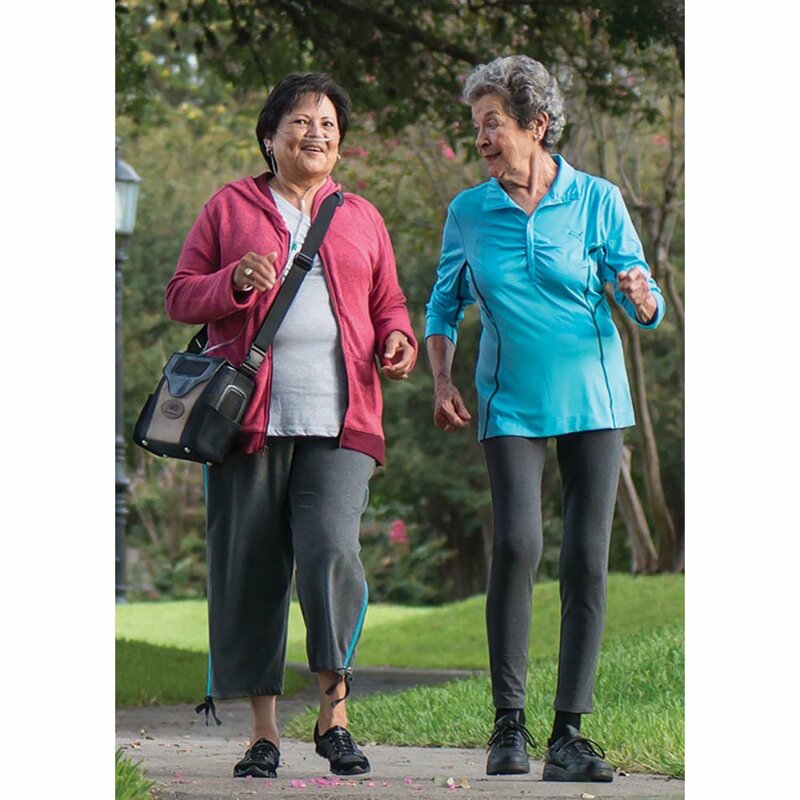 The last two options provide you with a completely hands-free setup, which is ideal for living an active life. 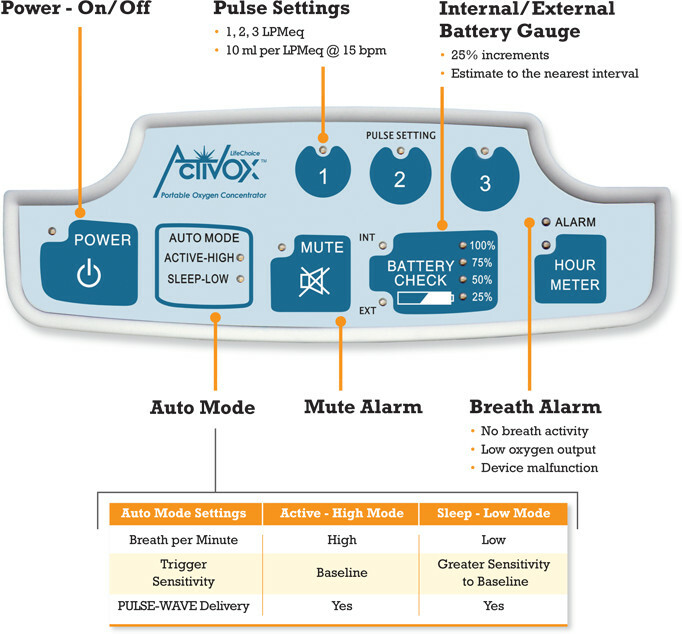 Operating your Activox Pro is as simple as pushing a button. There will never be a need to get frustrated when learning the menu on the LifeChoice Activox Pro, only what is necessary was included. The menu includes a power button, alarm mute button, 3 pulse settings, a battery gauge, and Auto Mode indicators. The inclusion of the battery gauge is perfect for quick on the go readings, the battery gauge will display the remaining battery life with a light next to the nearest 25% increment. Since the Activox Pro was created on giving patients ultimate freedom, when talking about charging methods that same principle applies! For regular at home charging you will plug the AC power supply into the unit and a wall outlet. While on the other hand, for on the go charging in a car, truck, SUV, boat, or R.V. you will charge the unit through the cigarette outlet with the DC power supply. 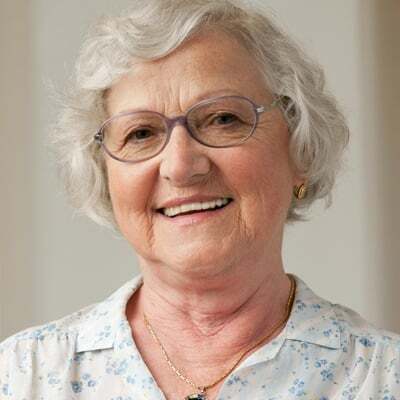 Auto mode is an exceptional feature in the Activox Pro, what it does is allows the concentrator to detect the ever changing breathing patterns in patients and the internal breath detection trigger adjusts accordingly depending on the activity being done. There are two modes the Activox Pro will run on, either Active-high mode or Sleep-low mode. Active-high mode will be the setting the Activox Pro runs on while you are out and about running errands, delivering a short and frequent pulse of oxygen. While Sleep-low mode will run at night while sleeping, the breath trigger is 10 times more sensitive to pick up shallow and prolonged breathing so you stay properly saturated all throughout the night. 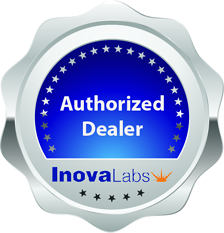 Inova Labs the company that produces the Activox Pro line designed the PULSE-WAVE technology that is only available in the Activox line. This technology is different from regular pulse delivery concentrators because PULSE-WAVE delivers a wave of oxygen that is congruent with the patient’s inhalation rate. While standard pulse flow concentrators, the bolus dose is often fully not received because the flow and rate of the pulse outlasts the inhalation rate of the patient. What Comes With Your Activox Pro? Yes we are! You will notice our badge of approval on this page which notes that we are an authorized dealer. Please make sure any company you plan to do business with is an authorized dealer of LifeChoice products. [fa icon="plus-square"] How much does the Activox Pro weigh? 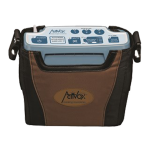 The Activox Pro weighs a mere 4.3 pounds. [fa icon="plus-square"] How big is the Activox Pro? 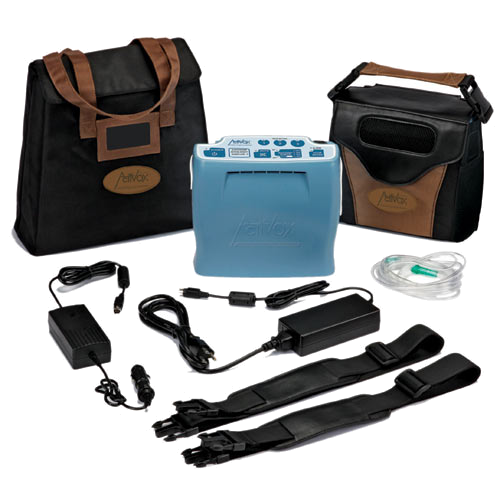 Standing just 9.05” W x 4.38” D x 7.875” H and weighing only 4.3 pounds the Activox Pro is one of the smallest portable oxygen concentrators on the market. [fa icon="plus-square"] How long will the Activox Pro battery last? The Activox Pro is equipped with a powerful long lasting internal battery. It will get up to 7.25 hours of battery life on a single charge. The optional external battery supplies you with up to 3 additional hours of battery life. Combined, both batteries will supply you with up to 10.25 hours of use. [fa icon="plus-square"] What is the best way to recharge my Activox Pro battery? You can use either the AC power supply or the DC power supply to recharge your LifeChoice Activox Pro. The AC power supply is generally more efficient and can recharge your battery quicker. [fa icon="plus-square"] How long does it take for the Activox Pro battery to recharge? The internal battery will take up to 4.5 hours to fully recharge. If you are using your concentrator while you recharge you can expect it to take the full 4.5 hours. The external battery only takes 3 hours to achieve a full charge. 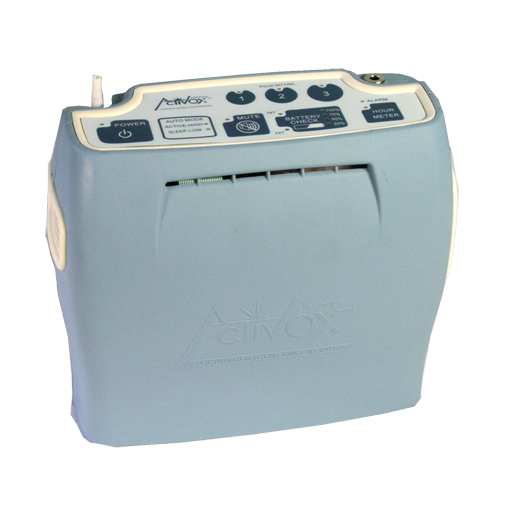 The Activox Pro is strictly a pulse flow only machine. It offers pulse flow settings 1-3. 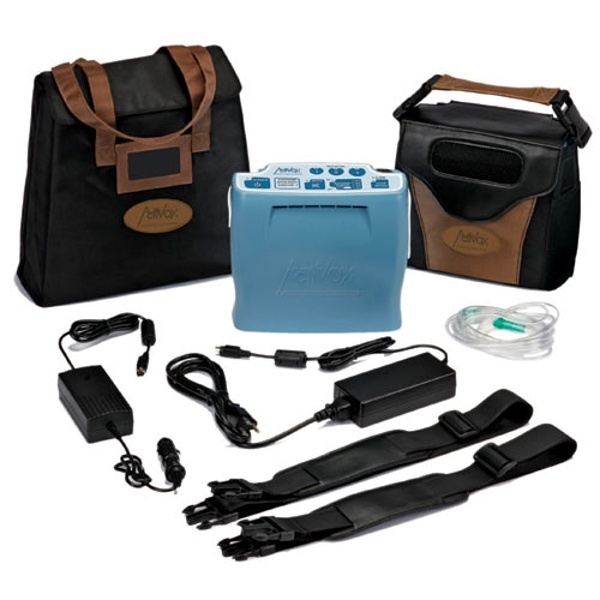 [fa icon="plus-square"] Is the Activox Pro a loud portable oxygen concentrator? While some people are more sensitive to sound than others, the Activox Pro is one of the louder operating concentrators on the market. 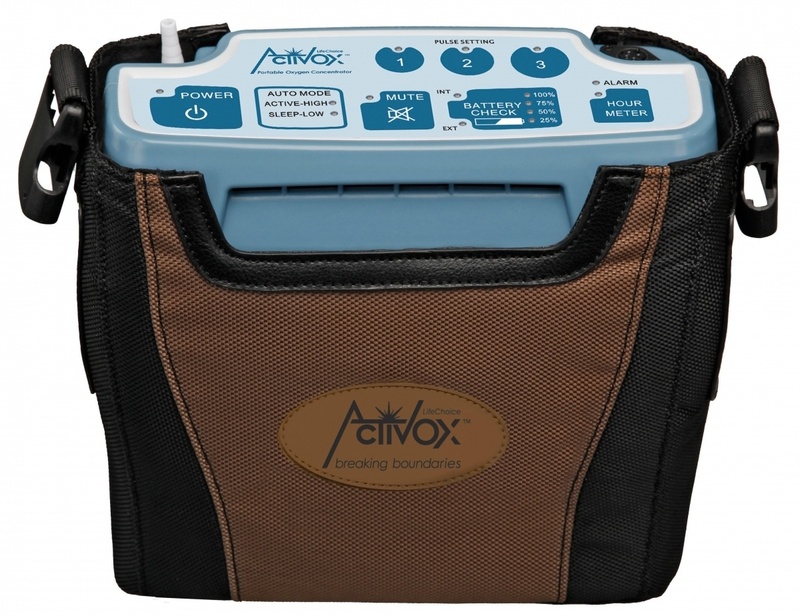 It registers at 46 decibels on a setting of 2 which is quieter than a normal conversation, however, the Activox Pro has a unique oxygen delivery technique which causes it to sound different than other units. 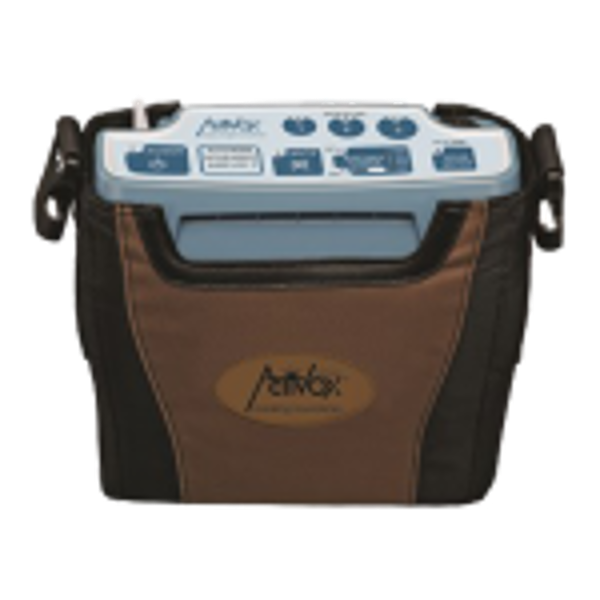 The Activox Pro has an operating altitude range of 0-10,000 feet. If you go above 10,000 feet the concentrator’s performance may suffer. [fa icon="plus-square"] How can I purchase the LifeChoice Activox Pro? All you have to do is give us a call and speak with one of our respiratory specialists. They will answer any and all questions you may have about the unit and they will help you purchase the LifeChoice Activox Pro or recommend a unit that better suits your needs.